Let's Ring! first quarter peal for the treble ringer. 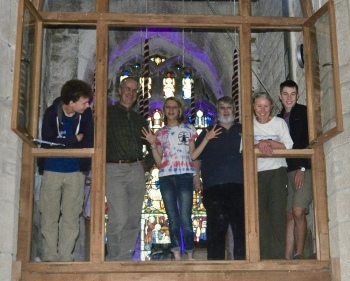 Rung as part of the G&B Peal and Quarter Peal Festival. 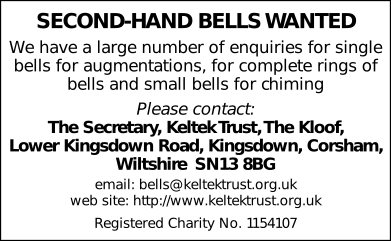 This performance is linked to the events Gloucester & Bristol Diocesan Association — Gloucester & Bristol Diocesan Association — Peal & Quarter Peal Festival 2017, Let's Ring! — Peals and Quarters and Gloucester & Bristol Diocesan Association — WUE Branch 2017. Last updated Sunday, 29 October 2017 at 23:44:29. First submitted Sunday, 29 October 2017 at 19:23:59 by Alistair White-Horne. Sent for publication in The Ringing World on Thursday, 9 November 2017 at 13:33:45.